Our new 2 AA 4 Silver Star Merit luxury hotel in Wokingham, near Reading offers 22 beautifully furnished tranquil bedrooms ranging from Standard, Executive, Family and Suites. Your peaceful, spacious Twin Bedded Room, is adorned with specially designed artwork, a comfortable work desk and superfast internet; both cabled and Wi-Fi. Luxury toiletries and a power shower help you to unwind. There's also a 32-inch flat-screen TV, a laptop safe and a minibar. 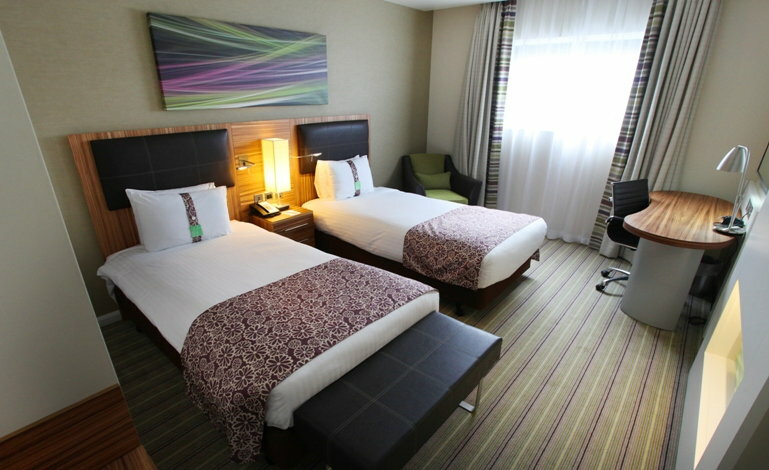 In addition, the hotel is a 1-minute walk from the Winnersh Triangle Train Station, on the Reading to Waterloo line and a mere 6 minute train journey to Reading for the Reading to Paddington fast train (20-minutes) making it the ideal location for a Family Hotel Break in Berkshire.